The church building is fully handicap accessible, offers an air conditioned sanctuary, a gymnasium, and fellowship hall. Hearing devices are also available. We have a beautiful building with a lot of space. We have a full kitchen, Fellowship Hall, full gymnasium, a lounge, a media center, and many Sunday school rooms. If you are looking for a place to hold an event, we encourage you to contact us to see if we can accommodate your needs. The building is available to rent to both members and non-members. Please contact the church office at 722-5842 for more information. Thursdays at 5:30 P.M. and Fridays at 9:30 A.M. in room 205 on the second floor of the education wing. Go to welcome.weightwatchers.com to register. YMCA has an afterschool program for the grade school. Fox Valley Thunder Volley Ball team practice in our gym. Fox Valley Technical College basketball team practice in our gym. 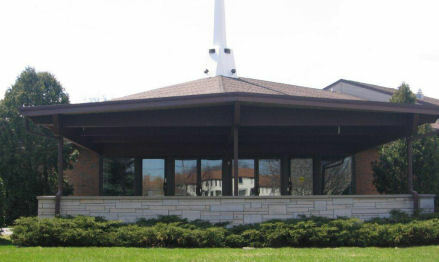 The United Methodist Conference - North East District Offices are located on the second floor of our education wing. Affinity Hospice uses our facilities for meetings and training programs.